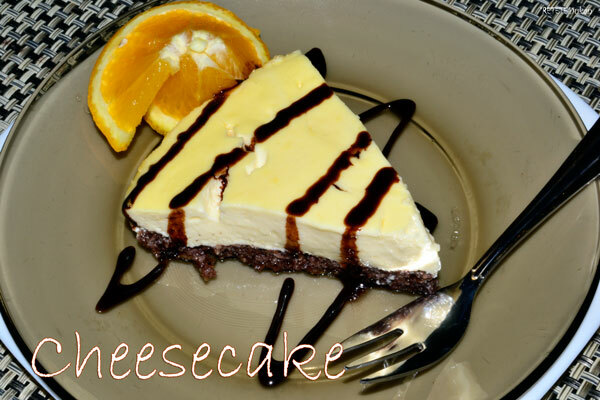 How much I love this dessert! 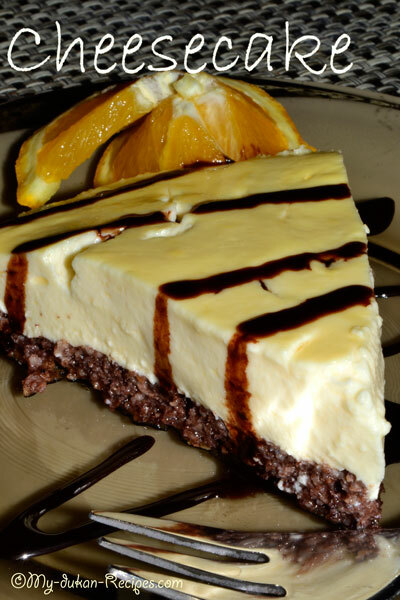 It was the first dukan dessert that I have tried and it was love at first bite. Preheat the oven at 150oC. 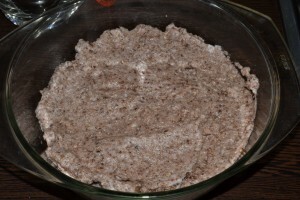 In a bowl, whisk the egg whites whit a pinch of salt until very firm and when ready, add with a tablespoon the oat bran and the cocoa. 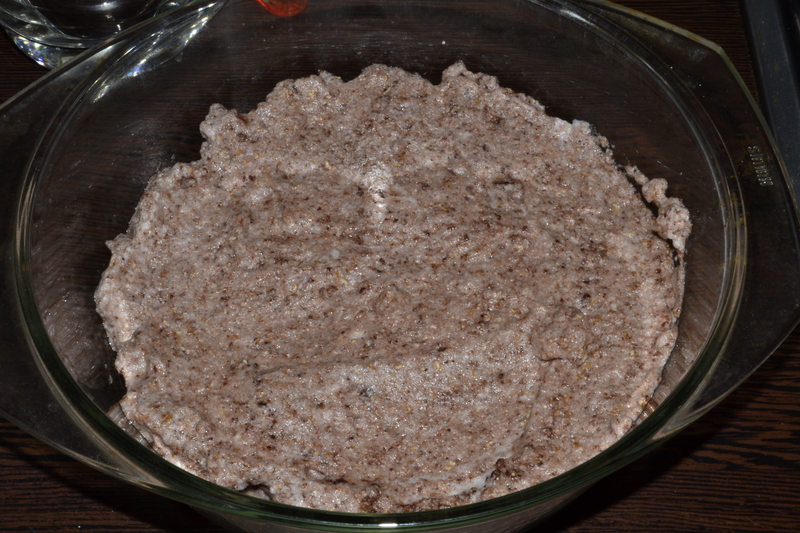 Pour the mixture into an ovenproof dish or silicone mould (Ø 20cm) and bake it for 10 minutes. 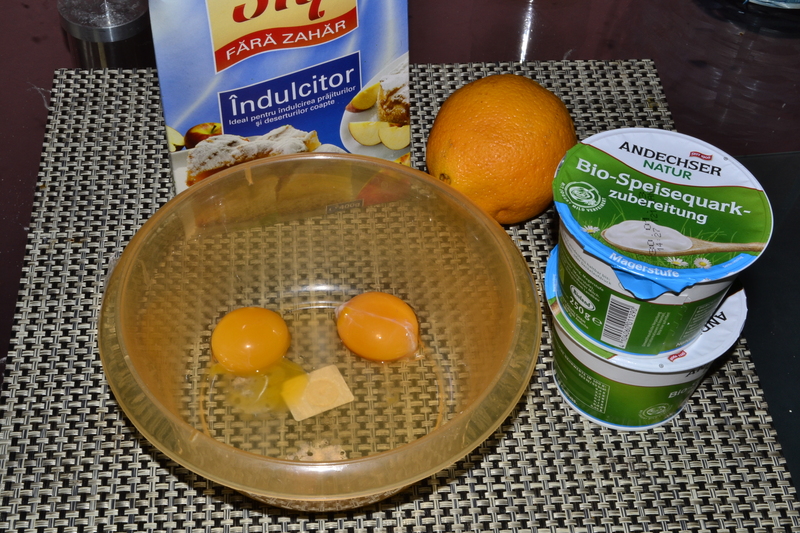 In the meantime, mix together the egg yolks with the quark cheese, sweetener and flavouring in a bowl. Put this mixture on top of the other mixture (from oven) and bake for about 50 minutes at 150oC. Let it cool and serve!